Wick Football Club got back on the Southern Combination League Division 1 winning trail with a fine victory in a nine-goal thriller last night. Doubles from both defender Ryan Barratt and Ashley Hawkes were followed by a Josh Irish strike to see Wick come out 5-4 winners over second from bottom Billingshurst at Crabtree Park. The fixture proved to be a thriller, with Wick coming from behind on two separate occasions before a late scare. 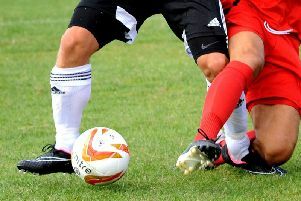 Billingshurst, still battling for points to secure their Division 1 status for another season at least, were ahead after seven minutes when Jordan Stallibrass struck. Barratt had his first of the night ten minutes later to level things up. Hurst were buoyant and lead for a second time on 25 minutes when Stallibrass got his second. Wick would go in level at the break, though, thanks to Hawkes’ goal six minutes before the interval. Lee Baldwin’s team went ahead for the first time when Hawkes got his second five minutes after the restart, then Barratt got a fourth for Wick soon after. Striker Irish made it five 20 minutes from time. Hurst kept fighting, pulling two goals back in the final ten minutes through Nick Tilley - the second a penalty - but Wick held on for victory.